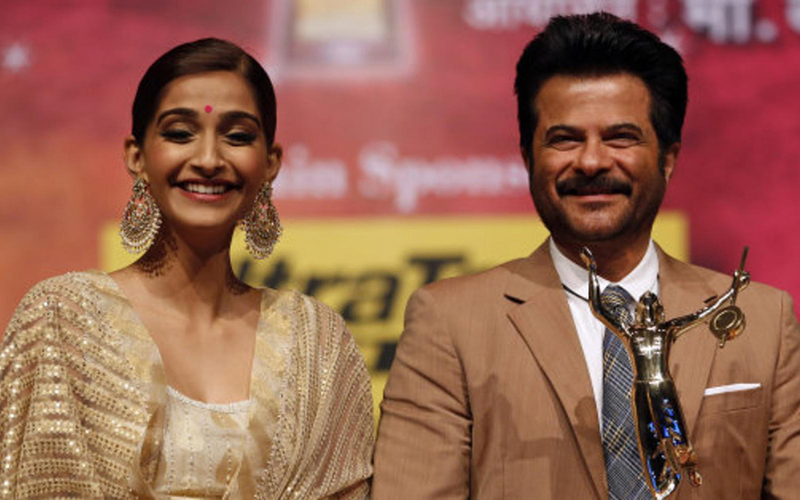 Anil Kapoor Biography Career and Networth ;Father of Sonam Kapoor. The famous Indian actor and producer, Anil Kapoor was born in 1955, December 24 in Chembur, Mumbai. 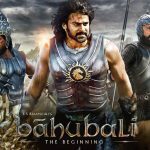 He has been working in the Bollywood film industry for almost 40 years. He has also contributed in Hollywood movies and is recognized for his work globally. The famous actress Sonam Kapoor is his daughter. 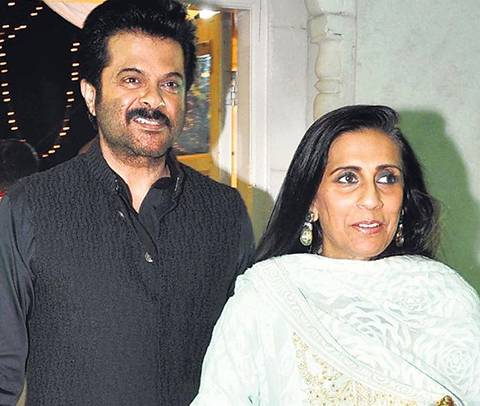 Anil Kapoor is the second of four children born to Surinder Kapoor and Nirmal Kapoor. He has an elder brother, Boney Kapoor who is a film producer, younger brother Sanjay Kapoor who is also an actor and sister Reena Kapoor. He completed his schooling from O.L.P.S, Our Lady of Perpetual Succor School in Chembur. He then went to St. Xavier’s College, Mumbai where he met Mazhar Khan. Later, he joined Roshan Taneja’s Acting School. He was a huge fan of Bollywood actor, Raj Kapoor and used to mimic him. 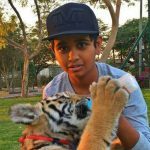 He was given a small role as a child artist in the movie, Tu Payal Main Geet but sadly the movie never released. Caption: Anil Kapoor and his wife Sunita Bambhani. In 1984, he got married to a beautiful model, Sunita Bambhani and the couple have three children together. Sonam Kapoor is their elder daughter who is a Bollywood actress and their younger daughter, Rhea Kapoor is a film producer. Their youngest child, Harshvardhan Kapoor is also an actor who debuted his acting career with the movie “Mirzya” which was released in 2016. Still can't believe that #24IndiaS2 is over! I am overwhelmed & humbled with all the love I have received….now it's time to start something new & believe in the magic of beginnings! Anil kapoor Career and Awards. Blessed with the charming personality, Anil started his acting career through his debut movie, “Hamare Tumhare” in 1979 where he had a small role. Then in 1980, he starred a Telugu Movie, “Vamsa Vruksham” which went blockbuster. He played a Kannada film, “Pallavi Anu Pallavi” in 1984. His acting skills were highly praised when he was seen as a Tapori actor in the movie, “Mashaal” directed by Yash Chopra in 1984 and was awarded his first Filmfare Award under the Best Supporting Actor category. Similarly, for the movie “Tezaab”, directed by N. Chandra in 1988, he received his first Filmfare Best Actor Award. His career started to rise thereafter and he was seen in several successful movies like “Meri Jung”, “Karma”, “Mr. India”, “Ghar Ho Toh Aisa” and much more. His iconic line “Ek Dum Jhakkas” was from the movie “Yudh” released in 1985. In 1992, he received his second Filmfare award in the Best Actor Category for the movie, “Beta” directed by Indra Kumar. Anil’s work in the movies of 1980’s and 1990’s was quite noticeable. He got several Filmfare award nominations for the box office e hit movies like “Meri Jung”, “Eeshwar”, “Lamhe”, “1942: A Love Story”, “Trimurti”, “Biwi No. 1” and so on. He received Filmfare award for Best Supporting actor for the movie “Taal” in 1999, National Film Award for Best Actor for the movie “Pukar” in 2000. Not only this, he is also recognized for his comic role in the movies like “No Entry” and “Welcome”. On the other hand, “Slumdog Millionaire” was his first English Language film released in 2008 for which he shared Screen Actors Guild Award for Outstanding Performance by a Cast in a Motion Picture. He played as Brij Nath in his another Hollywood film, “Mission impossible- Ghost Protocol” in 2011. He received a Filmfare award in the best-supporting-actor category for his recent film, “Dil Dhadakne Do” which was released in 2015. He is also honored with awards for “Outstanding Achievement by an Indian; Internationally”, “Nata Kalaratna”, “Lalitha Kala Samrat” and others. Apart from Bollywood movies, Anil has also played in the Tv series like “24(American)” as Kamistan President Omar Hassan, “24(Indian)” as Jai Singh Rathod and “Family Guy”. Not only this, he has produced films like “My Wife’s Murderer”, “Short Kut: The Con Is On”, “Aisha”, “No Problem” and so on. He is also passionate about singing, as he has contributed to the songs of movies like “Chameli Ki Shaadi”, “Woh Saat Din” and much more. His album “Welcome” was released in 1986 as a co-singer with Salma Agha. Anil is working for his upcoming movie, “Mubarakaan” which is to be released in 2017. Anil Kapoor with his career in Bollywood and Hollywood has been able to accumulate an estimated net worth of $12million. He has also served as the brand ambassador for many successful brands like Renault. 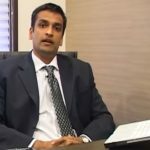 With his career in Bollywood and endorsements of various brands, he has been able to purchase many properties across the globe in countries like USA, England and so on. Anil Kapoor is also extremely passionate about cars and we can also see him participating in many races with his cars from the manufacturers like Audi, Lamborghini Renault and so on. Indian celebrities and their foreigner lookalikes.